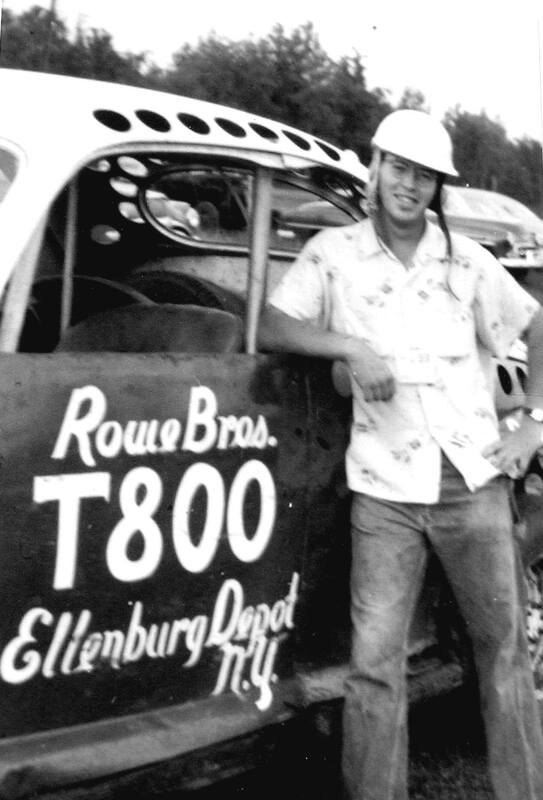 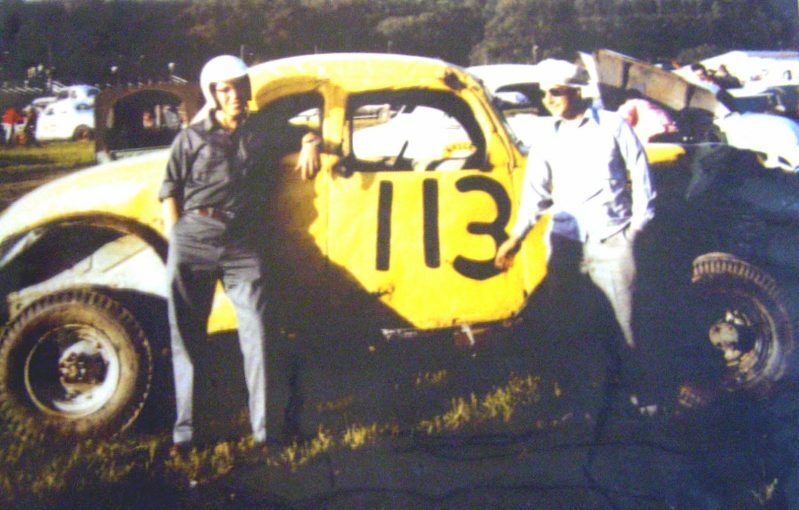 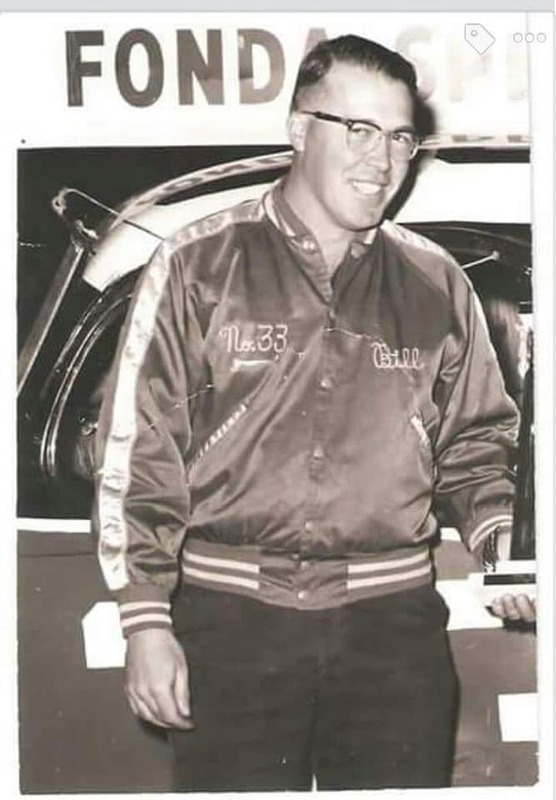 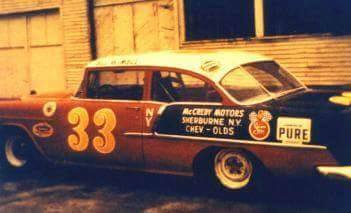 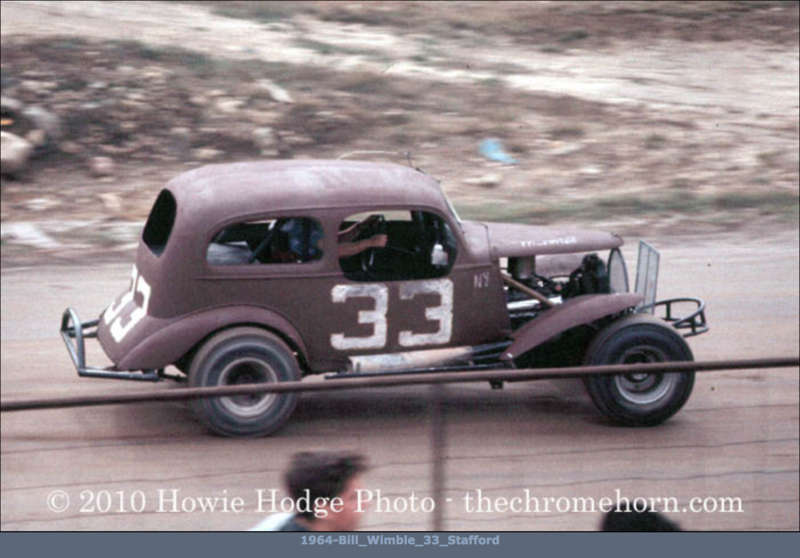 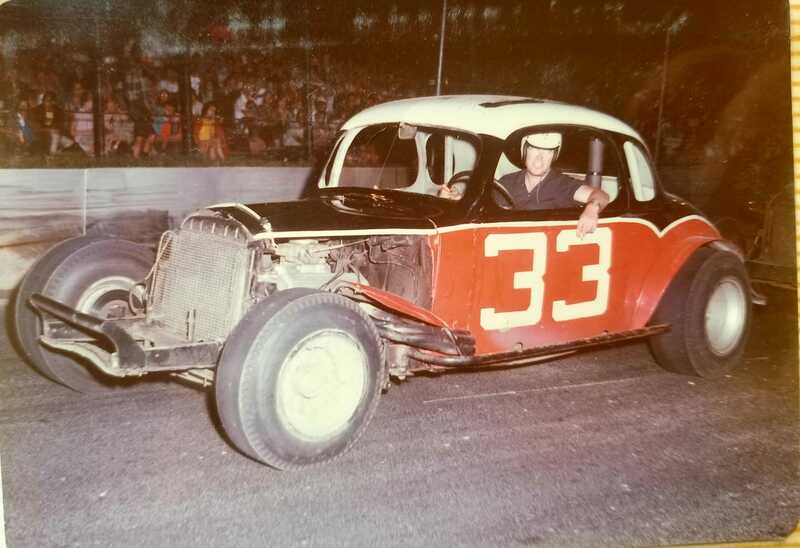 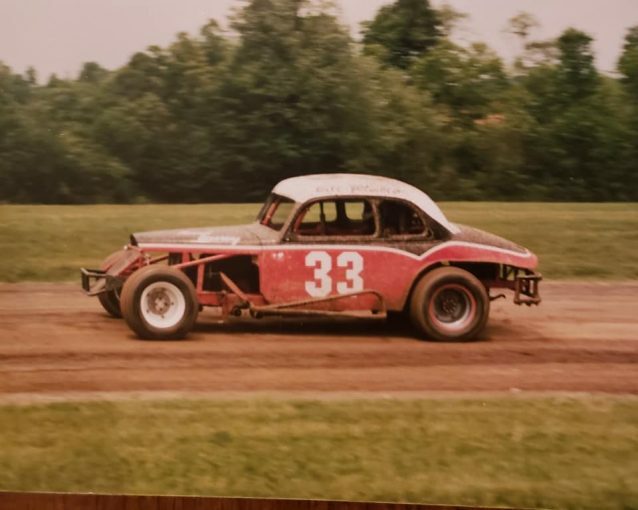 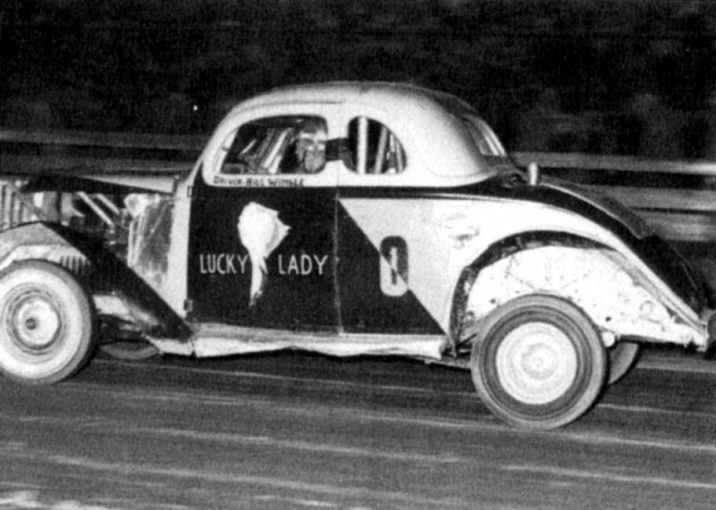 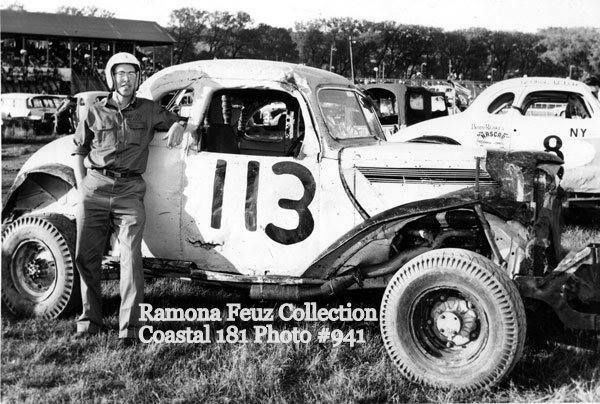 The #113 was owned by Hal Kempeny, whose cars were also driven by Dutch Hoag and Rene Charland. 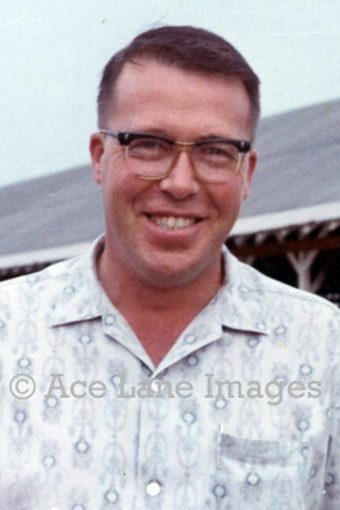 1957 – Langhorne. 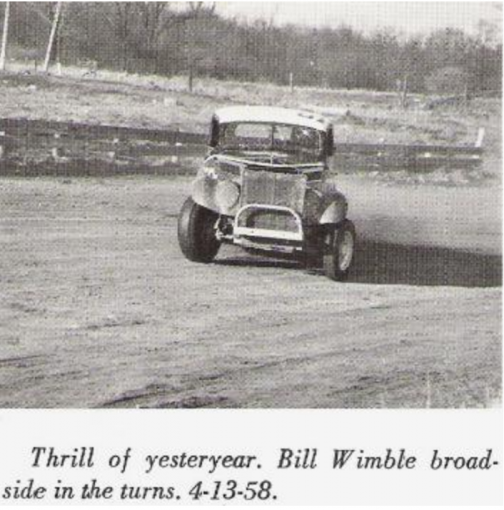 Bill is in the #213. 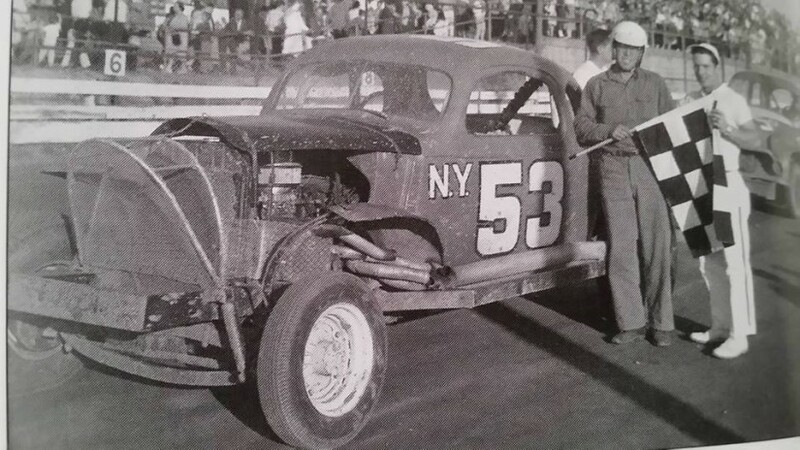 1960 – Stafford Springs. 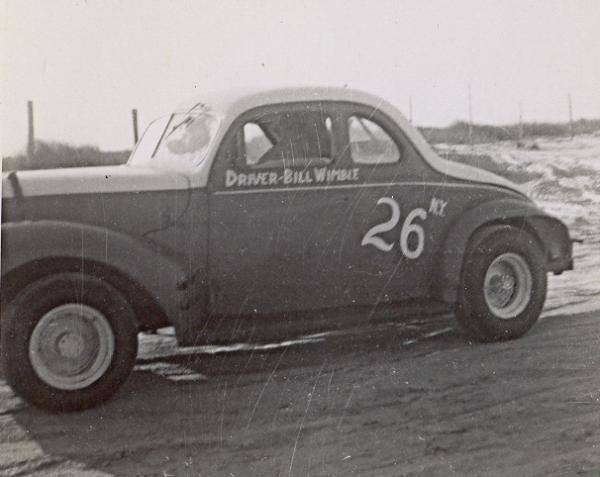 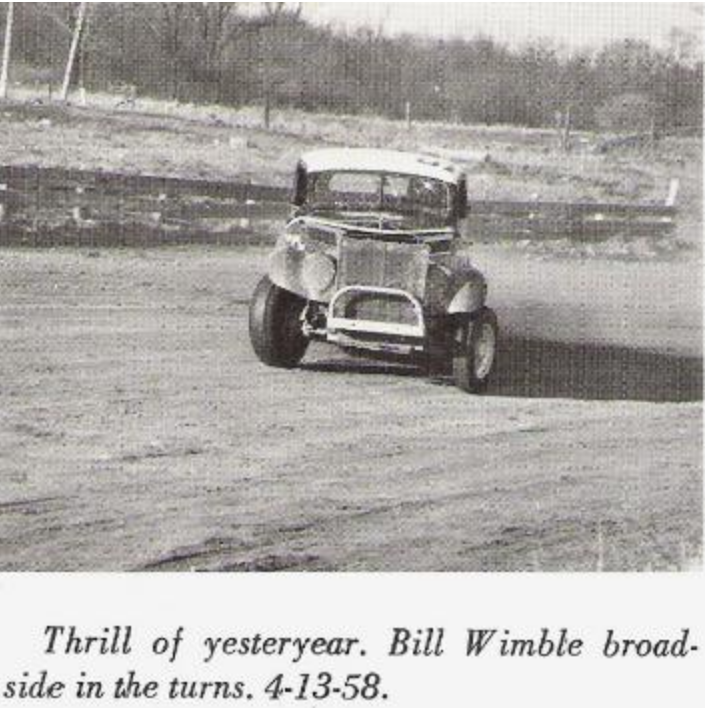 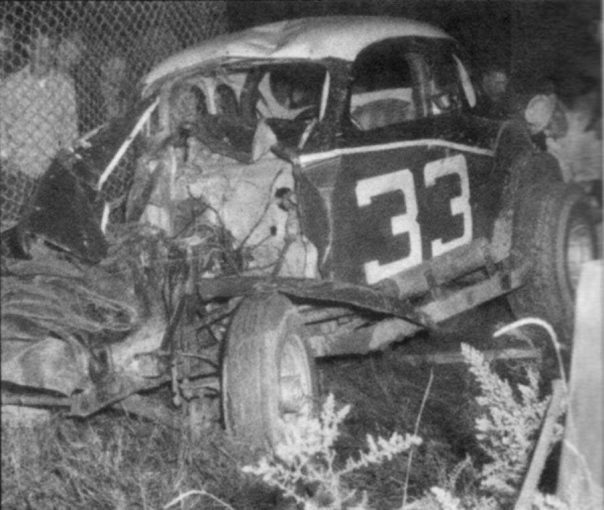 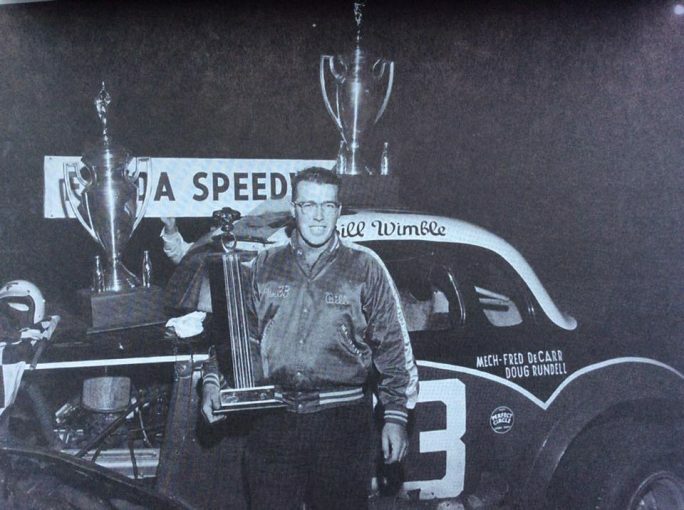 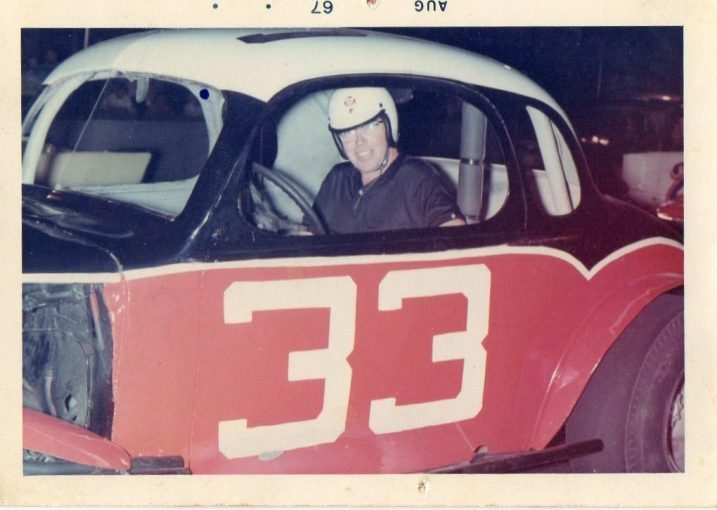 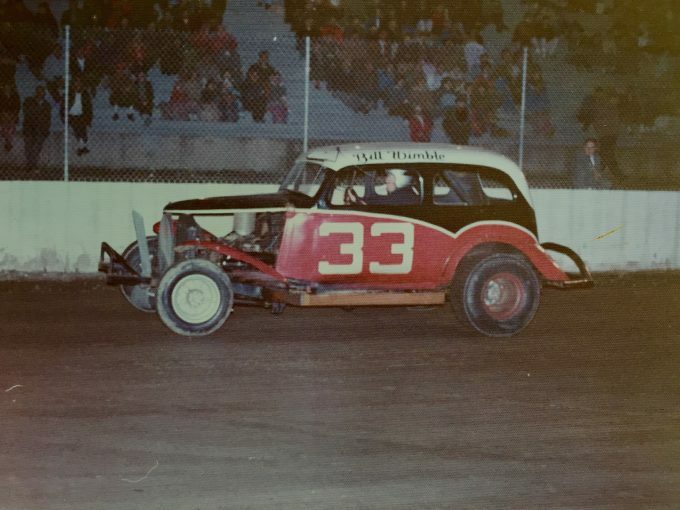 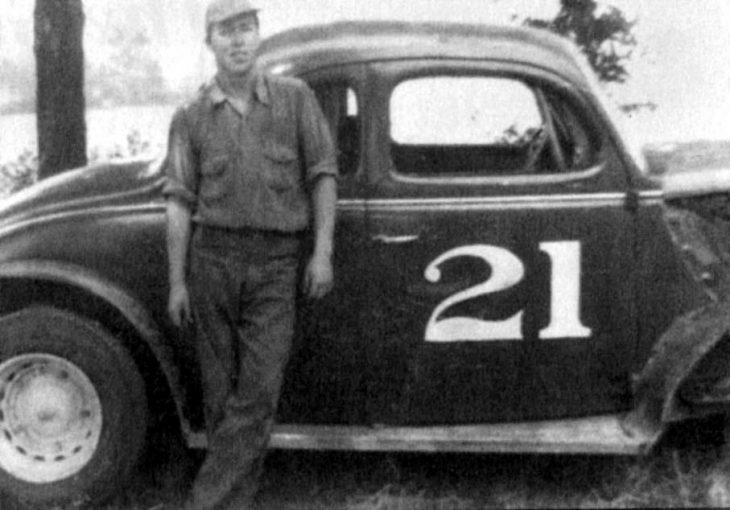 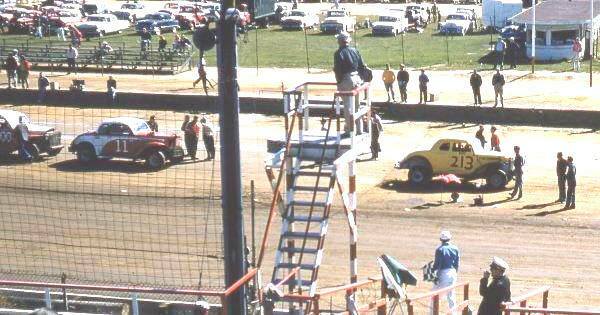 Bill Wimble was a fine driver, one of the very best “combo” drivers who excelled on both asphalt and dirt. 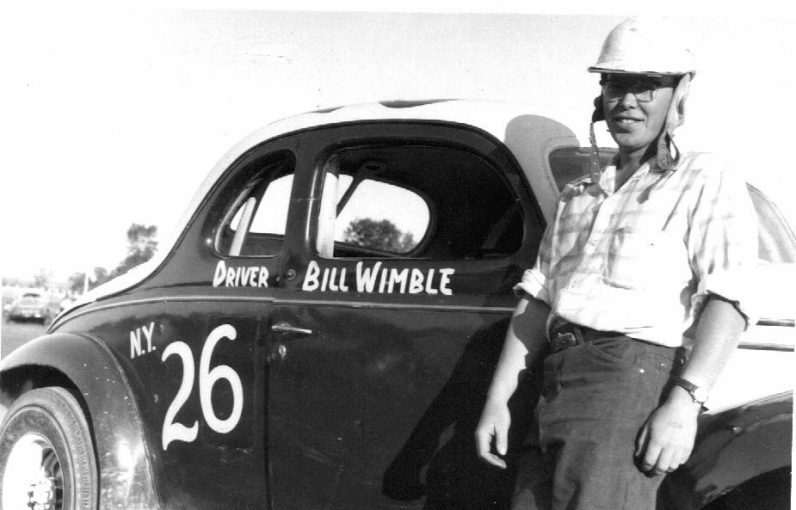 In his autobiography, however, Bill said something unkind and, I believe, inaccurate about Ed. 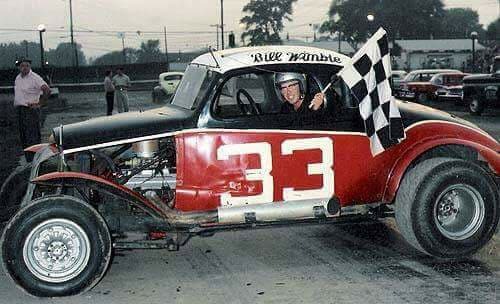 We’re giving him a place on this website, but only a small one. 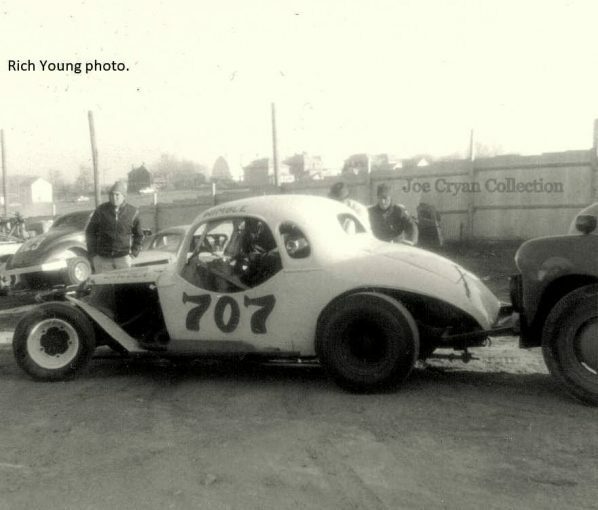 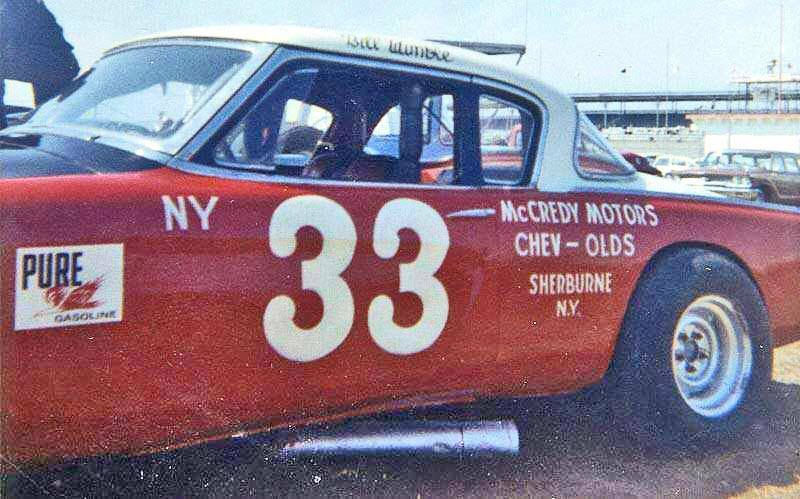 Morris County Fairgrounds – an early McCredy car. 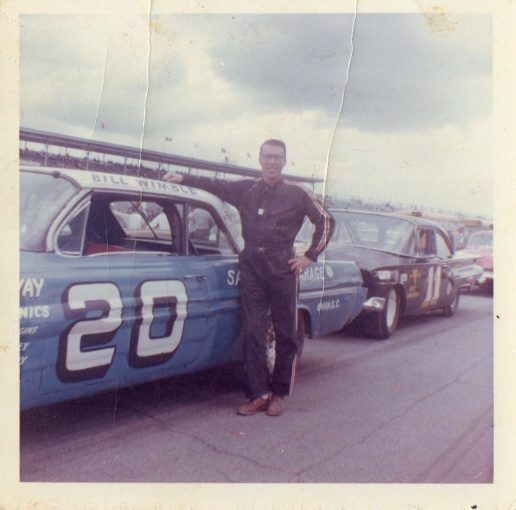 In 1963 at Daytona, Marvin Panch was driving a Maserati and shooting for a new speed record. 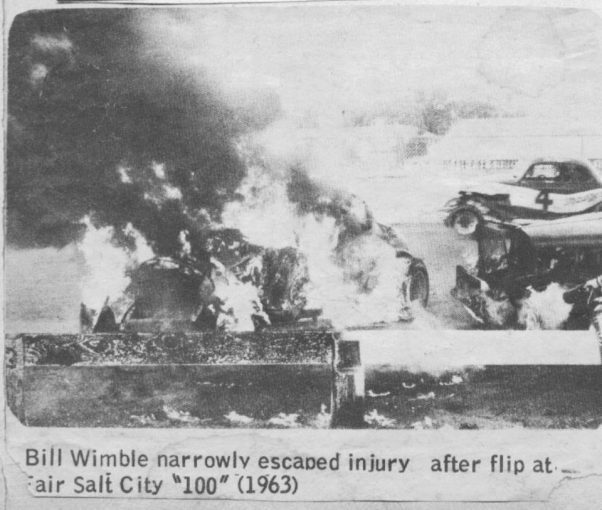 He lost control of the car, which crashed and burst into flames. Five men who saw this ran to the blaze and pulled Panch out before he was killed by the smoke and flames. Four of them are in the picture. 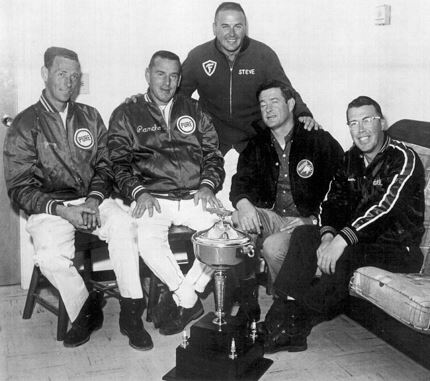 L-R: Jerry Raborn, Panch, Steve Petrasek (standing), Ernie Gahan and Bill Wimble. 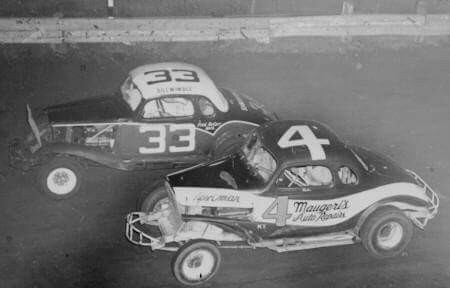 The fifth, not in this picture, was Tiny Lund. 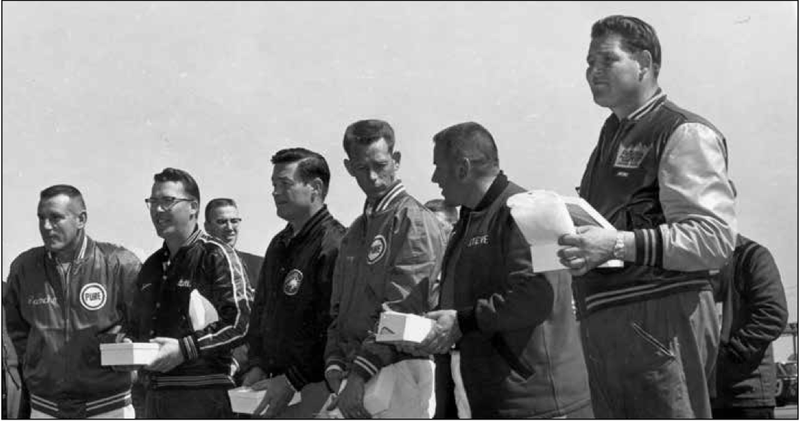 Bill (second from left) and Ernie (third from left, next to Bill), along with Tiny Lund (far right) are receiving the Bud Shuman Award for pulling Marvin Panch (far left) from a burning car at Daytona.